This is fashion week fever—Heart-style. The nation’s style darling Heart Evangliesta is at Milan Fashion Week (#MFW), and she’s having a blast. Heart is in her element when she’s burning with fashion week fever. Heart’s soaking it all in on the Italian peninsula, and we’re keeping close watch on (and totally lusting over) her #MFW wardrobe. It seems like it’ll be a super stylish upcoming week as we keep tabs on Heart’s #MFW adventures. Last September 2018, Heart went to New York Fashion Week, and we saw her blend easily with the world’s fashion elite. 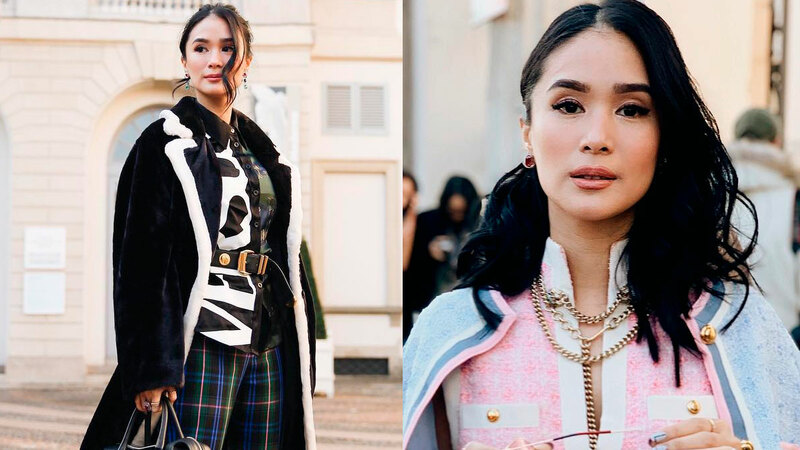 She looked every part the style queen, and we loved how she mixed up her NYFW wardrobe with top-to-toe designer threads and local Filipino materpieces. Now, Heart is in Milan, and she’s looking editorial-perfect, as always. Heart arrived at the fashion capital just a couple of days ago, and she hit Milan ground sashaying in style with appearances at the Tods show, VIP meet-ups with designers like Gianvito Rossi, intros to streetwear brands like Hogan, and doing style rounds at Gucci. 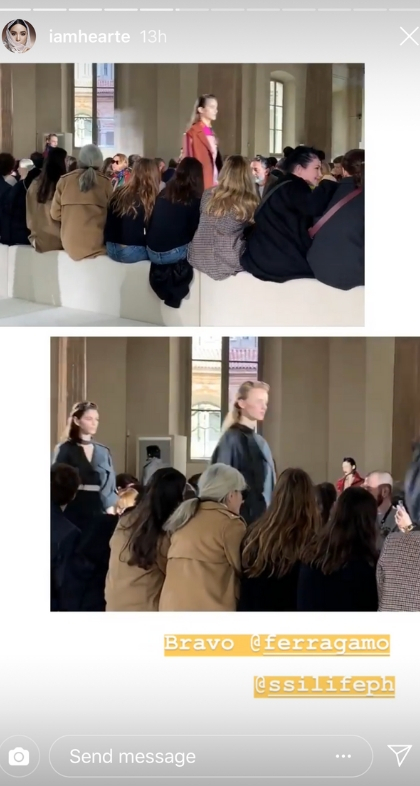 Most recently, Heart dropped in at the Ferragamo show for a preview of their upcoming Fall/Winter 2019-2020 collection. In her stories, we saw a lof of loose coats and sillhouettes made for the colder-weather months. Taking a peek at the show’s footage, we also spotted a lot of emphasis on ready-to-wear leather and lots of color. 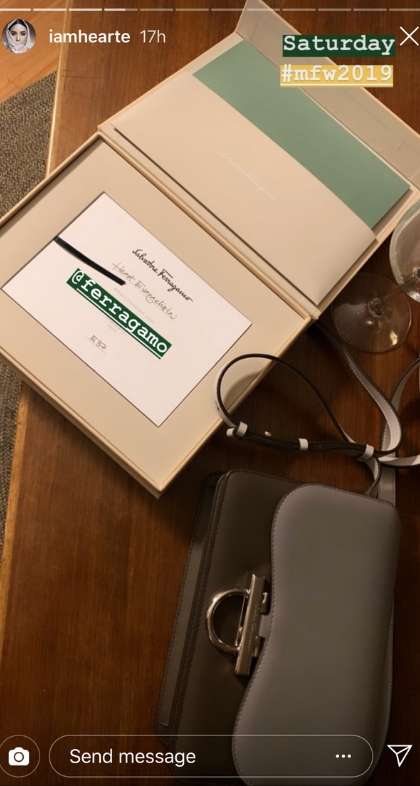 In interviews, Ferragamo creative director Paul Andrew says that marrying luxe with innovation was the brand’s intent, and they’re doing it with leather. “Being a luxury heritage brand, I feel like we should own leather dressing,” he said. 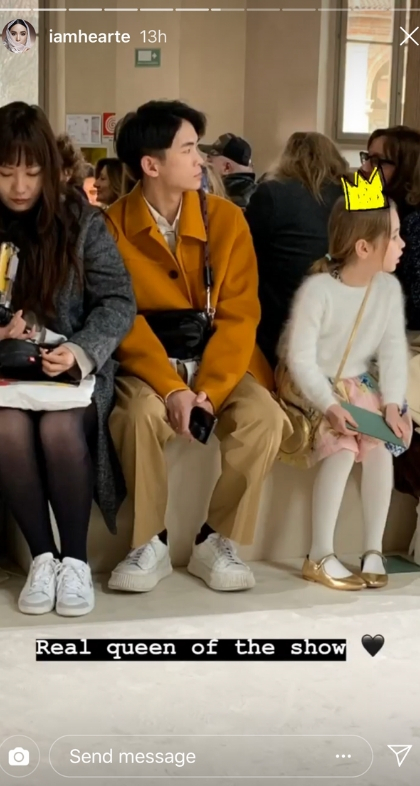 The fashion world also noticed that walking the Ferragamo runway were older models, not just the usual millennial lot of catwalk kids. 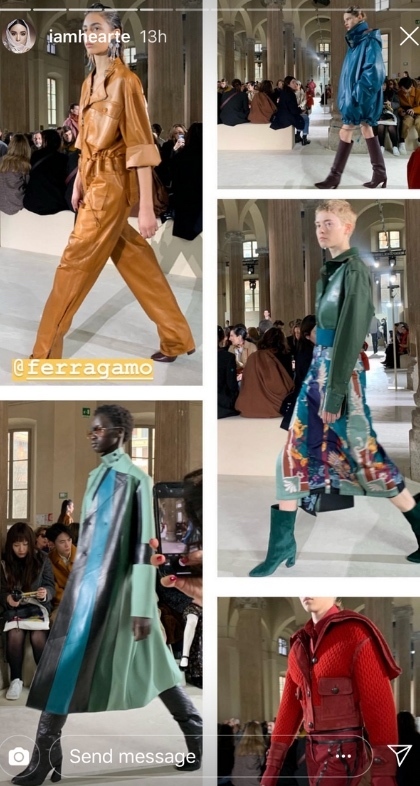 They seem to be embracing the fact that Ferragamo is dressing women of all ages—the mature set included. That move fortified Ferragamo’s heritage stance: It’s inclusive, beautiful, and still so sophisticated. We’re totally living vicariously through Heart on her Milan immersion. Stay tuned for more of style stories from Heart here at Cosmo.ph!